FORWARD COMPATIBLE – 2004 | JONAH BRUCKER-COHEN, PH.D. FORWARD COMPATIBLE – 2004 – JONAH BRUCKER-COHEN, PH.D. Turn your Wifi Router into a modem..
“SPECTROPIA”, ART+COMMUNICATION, October 16 – 19, 2008, 2008, RIXC. Riga, Latvia. Forward Compatible (FC) is a parasitic object meant to be attached to a Wi-Fi or fixed network router. The device monitors network traffic and when packets are sent, they are converted to audio, in the form of a 2400 baud modem dialing up and connecting, and played through the device’s on-board speakers. 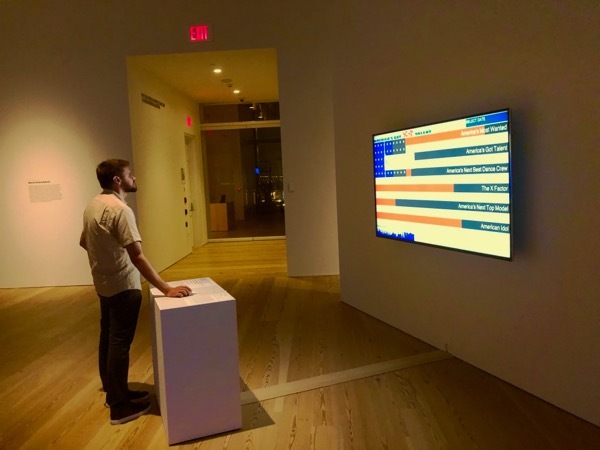 The focus of the project is to historically inform the way we think about network connectivity in public spaces by disrupting the supposed serenity of modern technology with a reminder of the past. Most people believe that older technologies are inferior. Mass media and advertising hypes a techno culture that is striving towards the latest gadgets, newest upgrades, and streamlined software and hardware efficiency. The current trend in Ubiquitous Computing is to envision a world where computers are infinitely powerful, context-aware, extrememly cheap, invisible, and deployed everywhere. This approach places value on optimization and performance and often disregards the evolution of how people used and perceived computers and connectivity from its beginnings. 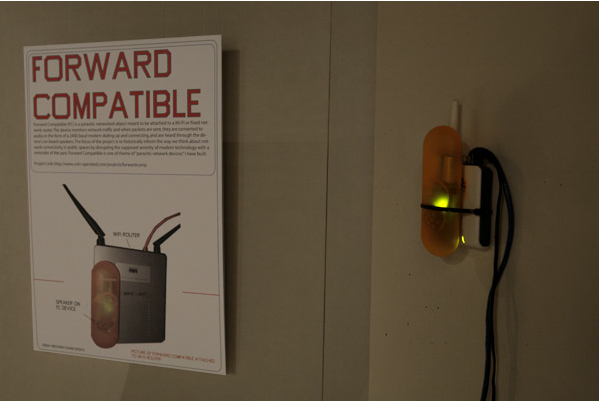 Forward Compatible is a reaction to the streamlining of computer technology by imparting an audible memory of the past in the form of a modem connection signal whenever data passes on the Local Area Network (LAN). This is an attempt to bring awareness to users of the network how the data they are sending might have existed in the not-too-distant past. 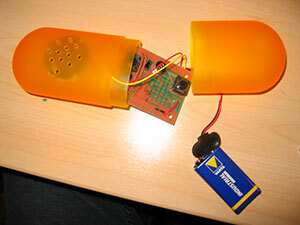 The project is built from a simple audio recording circuit controlled by a photo-transistor. 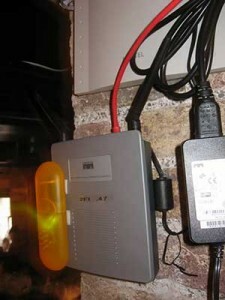 The transistor detects light from LEDs that blink from data traffic on the outside of the router. 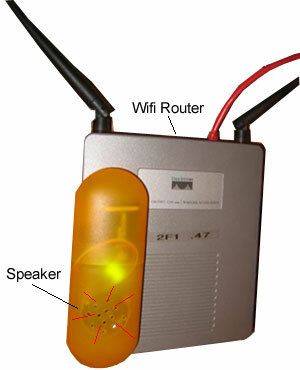 This simple detection method allows the device to be parasitic and be deployed on any WiFi or fixed router system.